This summer, three NC State College of Education faculty members and one alumna traveled to Kenya as part of the New Literacies Teacher Leader Institute (NLI) to equip 60 Kenyan educators with strategies and practices to implement in their classrooms. The institute traveled to this area through a collaboration with Shea Kerkoff ’16 PHD, an assistant professor at the University of Missouri, St. Louis, and an International Literacy Association grant she received to bring professional development to educators in the area. The New Literacies Teacher Leader Institute is a professional development forum, created in the NC State College of Education’s Friday Institute for Educational Innovation, that works with educators to develop creative and innovative instructional solutions to use in their classrooms. The Hope Education Centre, founded and directed by Peter Wanyonyi, is a school for children left homeless and orphaned as a result of tribal clashes in surrounding areas in 2008. The school serves more than 125 children, but it hosted 350 children for a special one-day camp the NLI team led during its visit. 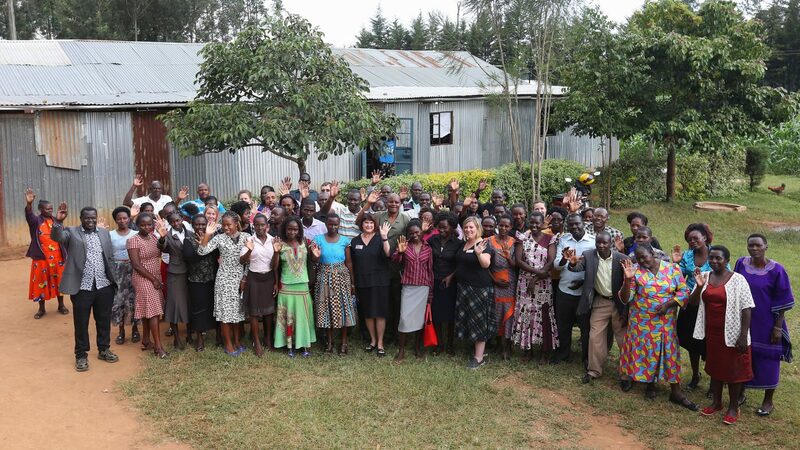 Spires, along with Associate Professor DeLeon Gray and Assistant Professor Michelle Falter, took the institute to the Hope Education Centre in Kitale, Kenya, to introduce teachers in the area to inquiry-based teaching and help them utilize their current technological resources to maximum potential. A key feature of the NLI is Project-Based Inquiry (PBI) Global, an instructional approach also created at the Friday Institute that engages students in learning by requiring them to ask compelling questions about the subject at hand. That question is then investigated through extensive collaborative research and shared in a dynamic showcase. Additionally, students take action to create change as a result of what they learn through their research process. The PBI Global technique turns the current Kenya model of recitation on its axis. 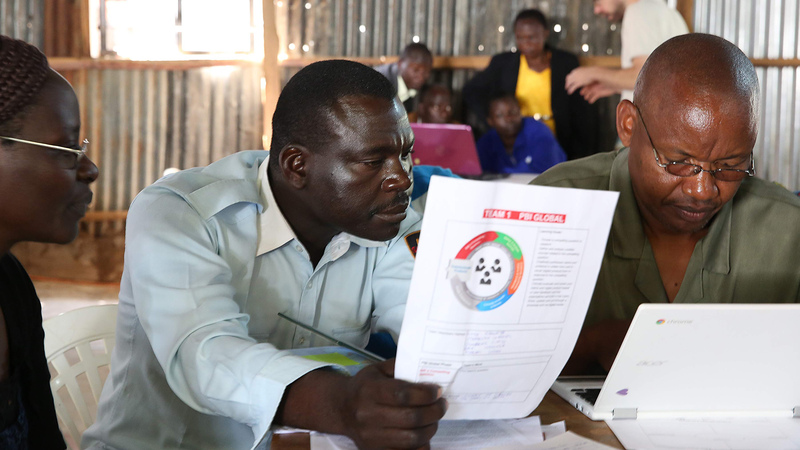 Educators enrolled in the institute performed their own project-based inquiry on deforestation in Kenya to learn how they might implement it in their classrooms after the institute. Spirituality and nature connect to education and business in Kitale partly because there are limited industrial pursuits in the area and zero manufacturing. Spires says most of Kitale’s citizens become farmers by default because choosing another career requires them to leave their village and their families to pursue higher education. But the children at the Hope Education Centre are hungry for education, said center director Peter Wanyonyi. So are their teachers. Kenyan educators attending the New Literacies Teacher Leader Institute work on a PBI Global problem about deforestation in Kenya. 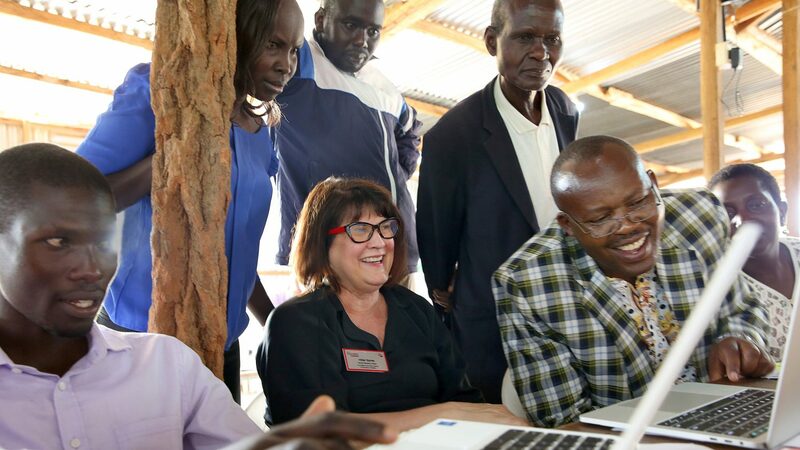 The Hope Education Centre recently opened its first computer lab with Internet connectivity, so the institute trained participants on how to use the Internet and computers to support educational instruction. Access to the equipment and an understanding of it can bolster student research and increase student outcomes. Participants also used laptops in groups to research and create presentations for their inquiry-based project on deforestation. “This knowledge we’re going to share with our learners, and they’re going to change. We are going to change our country,” said Dan Simiyu, a teacher from Kiminini and institute participant. Wanyonyi said education is the key to changing someone’s future, including the educators. He plans to return to the United States — and plans to visit NC State — this fall to continue partnering with the NC State College of Education for strategies to share with educators at his school. The college will host a symposium in November to share with a broader audience about NLI’s work with Wanyonyi and the Kenyan teachers. NLI also plans to conduct a laptop drive to collect computers that will be donated to the Hope Education Centre. “Thousands of children are going to benefit out of this program [NLI]. They are going to be the doctors of tomorrow, the teachers of tomorrow and the farmers of tomorrow,” Wanyonyi said.